I can see the dinosaur resemblance. 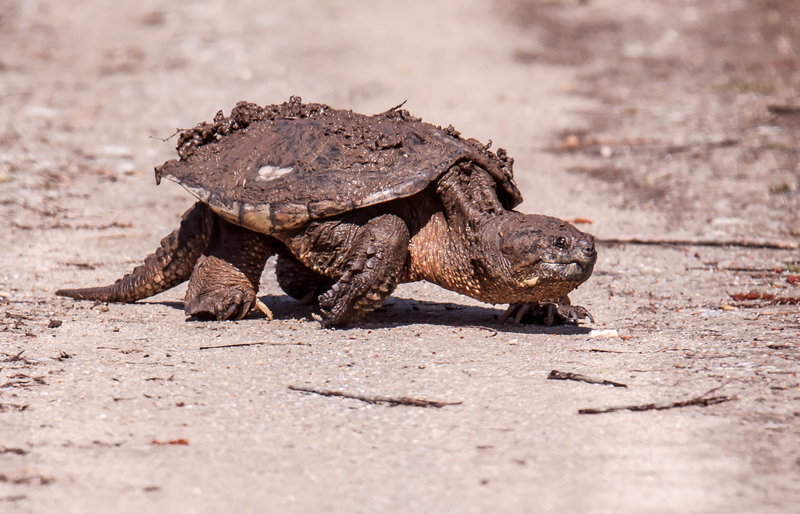 I have never seen a snapping turtle out of the water. It is a cool thing to see so thank you for sharing. It definitely has the look of a prehistoric critter. I would have guessed to lay her eggs too, but you may be right that it’s early for that. I was curious, so i did a search. 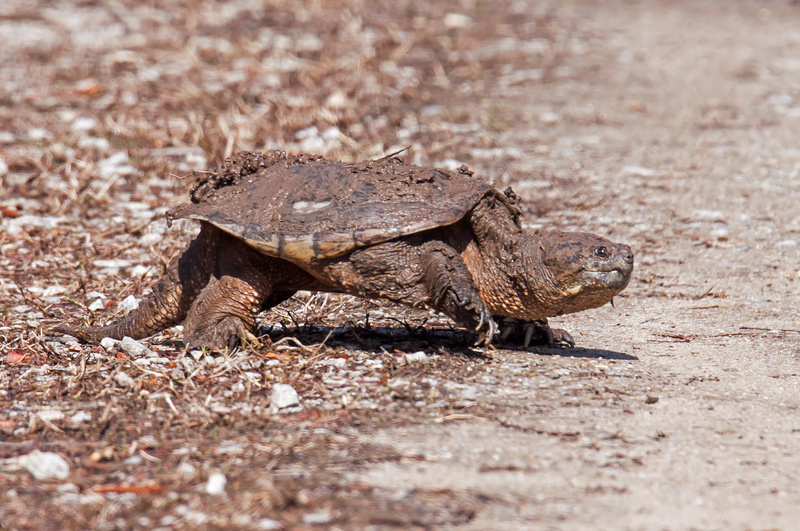 In this Connecticut webpage, it says egg-laying begins as early as April (May or June in New England), but does not mention any other reason these turtles leave the water, so I think this one is just an early bird, er, early turtle! Thanks for the info–I think you are quite likely right about laying eggs. Yes indeed! I have never seen one out of the water!